(1) It's more than a bit curious that Barack Obama should nominate a politician of no distinction, with no significant bills to his name, no administrative accomplishments, and no known ideas, to the hugely important post of secretary of defense. It's even more curious that Hagel is known for only two foreign policy/defense views: being soft on Iran and hostile to Israel. This certainly sends a strong signal to Israel. (2) It's been dismaying to note that, after an initial expression of skepticism, American Jewish institutions have taken a pass on the Hagel nomination. It would appear that, for them, access trumps other considerations. 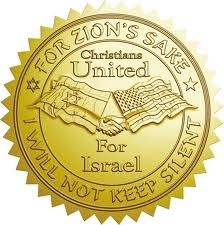 (3) In contrast, Christians United for Israel (CUFI), released a statement expressing opposition to Hagel on account of his "unacceptable blindness to the greatest security threat of our day," namely Iran and Hezbollah. In addition, CUFI announced that at least 400 Christian leaders will travel to Capitol Hill this week to lobby representatives of all 100 senators. Now, there's no question in the Arab-Israeli issue that Israel is a nation today as a result of the United States. Israel has been a strong ally; we have been a strong ally of Israel since 1948. We will be; in my opinion, should be. But I've also said this: not at the expense of our relationships with Arab countries, not at the sacrifice of our friendships with the Arabs. (1) No matter how meaningless, it's good to hear Hagel's perfunctory, de-rigueur re-iteration of the U.S.-Israel alliance. (2) "Israel is a nation today as a result of the United States"? Not only did the U.S. government play a miniscule part in the creation of Israel but when the chips were down in 1947, one week after the partition of Palestine, it imposed an arms embargo on the Middle East in general and the nascent Jewish state in particular. Israel which survived in large part due to arms from the Soviet Union, of all places. (3) Alliance with Israel should "not at the expense of our relationships with Arab countries, not at the sacrifice of our friendships with the Arabs." Shades of Loy Henderson, the State Department eminento who headed the Near East Bureau during Israel's war of independence, and who opposed the division of Palestine on the grounds that an Israel would impede U.S. relations with Arab countries. Sixty-five years later, this assumption has long ago shown to be nonsense. But Hagel still subscribes to it.